The original North End Police Station was located on Washington Street near Polk. It burned, as did several other police stations and San Francisco’s Hall of Justice, during the earthquake and fire in 1906. A May 1908 bond issue funded a new Hall of Justice and police headquarters and the replacement of burned out neighborhood stations. 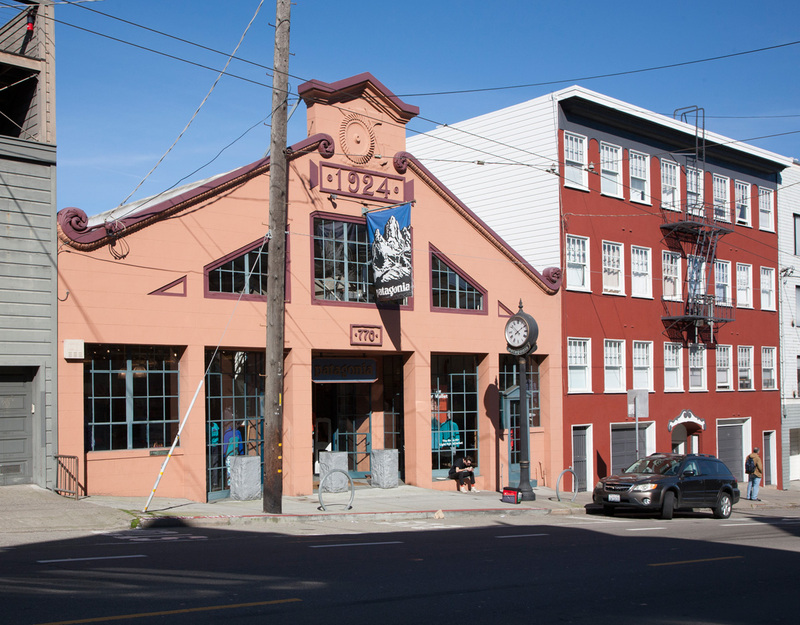 The temporary North End Station was housed at 3118 Fillmore, near Pixley Street. North End Station was to serve both the immediate north side neighborhoods and the nearby Panama-Pacific International Exposition that rose in what is now the Marina — financed, promoted and designed to celebrate both the opening of the Panama Canal and the rebirth of the city. A site was selected that was conveniently located near the exposition grounds on the south side of Greenwich between Pierce and Scott Streets, nestled along a residential street. 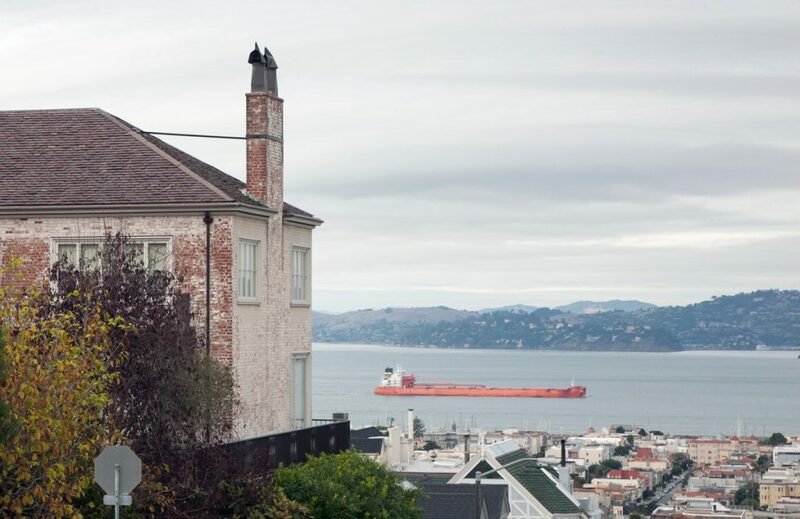 In a prolific five-year period between 1937 and 1941, one of California’s premiere Modernist architects, William Wilson Wurster, designed several important houses in Pacific Heights. Drawing on an established reputation as a residential designer, Wurster crafted these homes for urban living. However, each takes advantage of its distinctive site to include an outdoor room or significant garden space, sometimes designed by Wurster’s long-time collaborator, landscape architect Thomas Church. 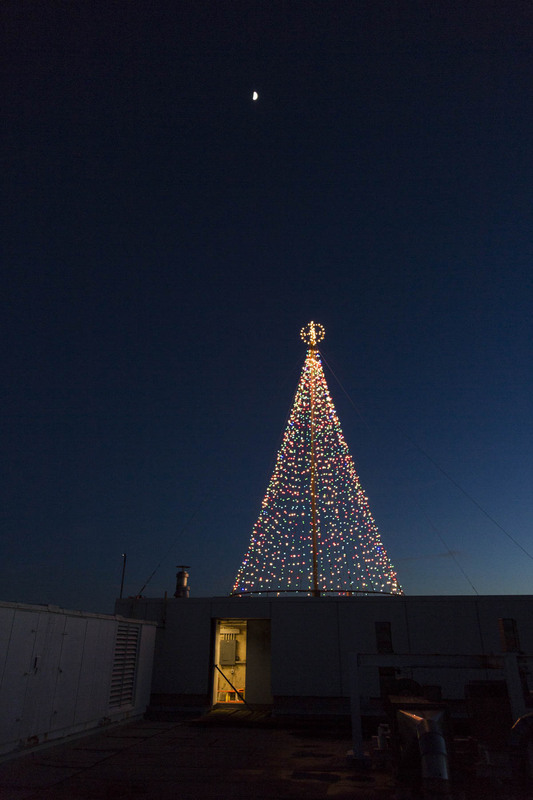 The tree atop UCSF is controlled from a room just underneath. FOR DECADES it has been a familiar sight during the holidays for drivers headed west on Pine Street: a 40-foot Christmas tree in the sky made of lights — 3,000 lights, on 60 strands, with 50 lights each. 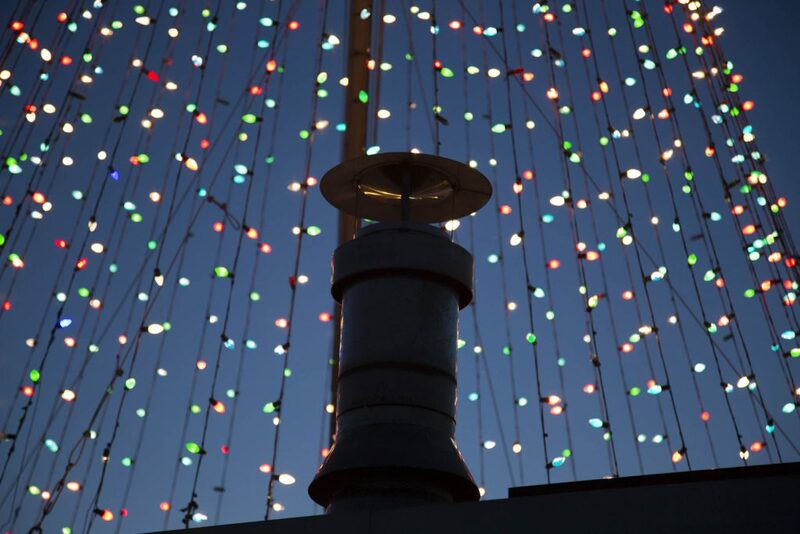 The tradition started when Fireman’s Fund Insurance Co. built its four-story black glass headquarters in the 1950s on the site of the old Laurel Hill Cemetery, after the bodies were dug up and moved to Colma. 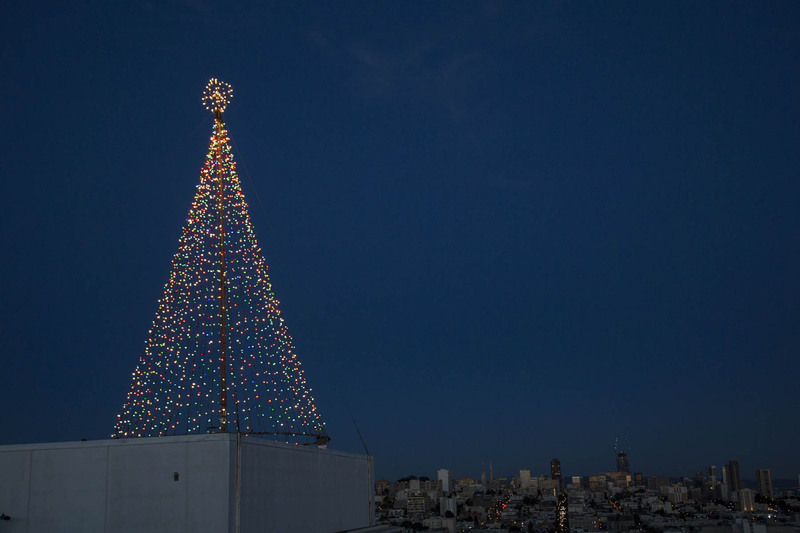 The tree has continued to rise every year since the University of California-San Francisco took over the building in 1985. As the university prepares to move this neighborhood campus to Mission Bay and development plans for new housing on the site proceed, the fate of the tree is in doubt. Architect Albert Pissis designed the medical library and the temple behind it. A crane hoists roofing material to the temple’s historic dome. 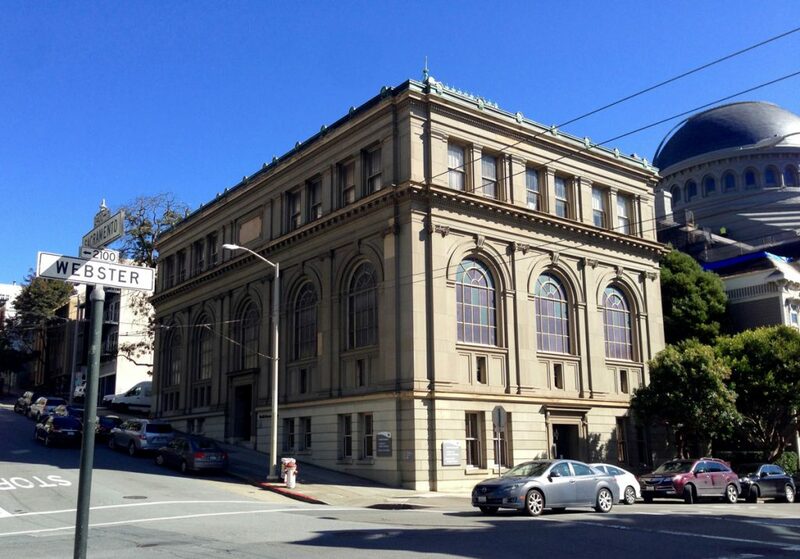 ESPECIALLY SWEET MUSIC will rise up into the freshly repainted and retrofitted dome atop Congregation Sherith Israel’s historic home at California and Webster on June 9 at a special Shabbat service celebrating the end of a long-running renovation. 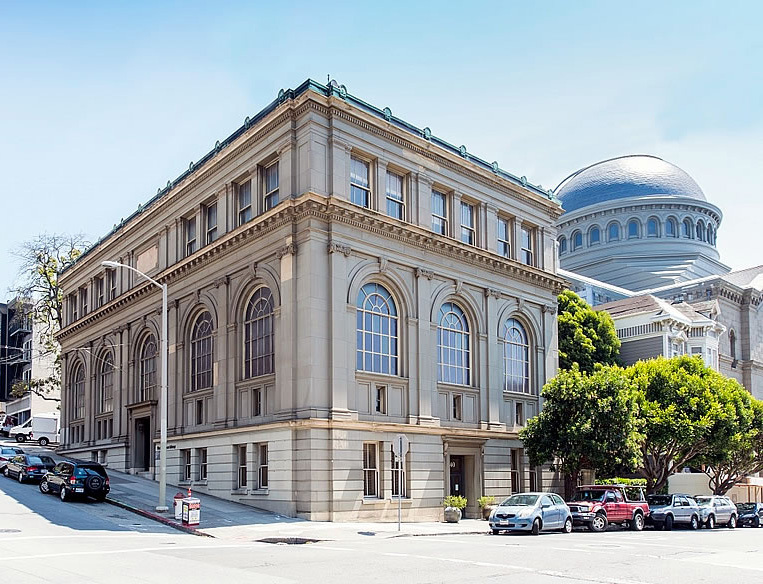 The $16 million project to strengthen the 1905 building — which survived the earthquake and fire the next year and served as a temporary courthouse during the rebuilding — was spurred by new standards established after the 1989 Loma Prieta earthquake. The first phase of the project, completed in 2011, included an innovative engineering plan to reinforce the exterior walls of the sanctuary without affecting the elaborately painted interior walls. It also stripped away the salmon-colored paint that had been unwisely applied to the sandstone walls half a century earlier. The second phase, just completed, involved reroofing, repainting and waterproofing the dome, removing the last vestiges of salmon paint and returning the dome to the color of the sandstone on the base. It also added solar panels on the roof and included work on nearly every other part of the building. “Our beautiful sanctuary will be here — and be strong — for generations to come,” said senior rabbi Jessica Graf. EARLIER: In a video from January 2011, the retrofit project was underway. 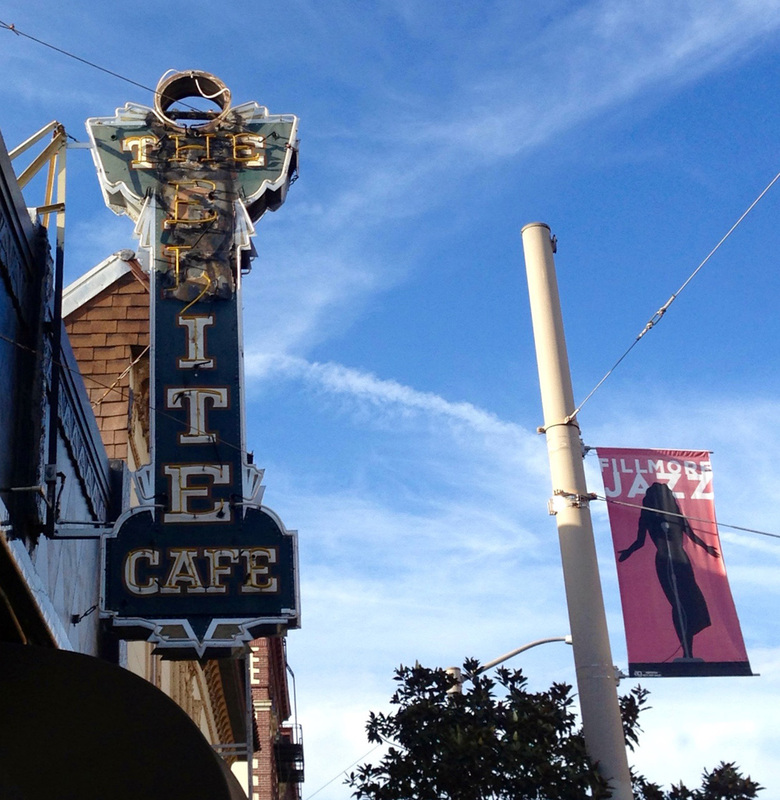 IT WAS A sunny Friday morning, February 24, and it looked as if the historic neon sign fronting the Elite Cafe would at last again be fully lit. Then suddenly a swarm of fire trucks was on the scene. 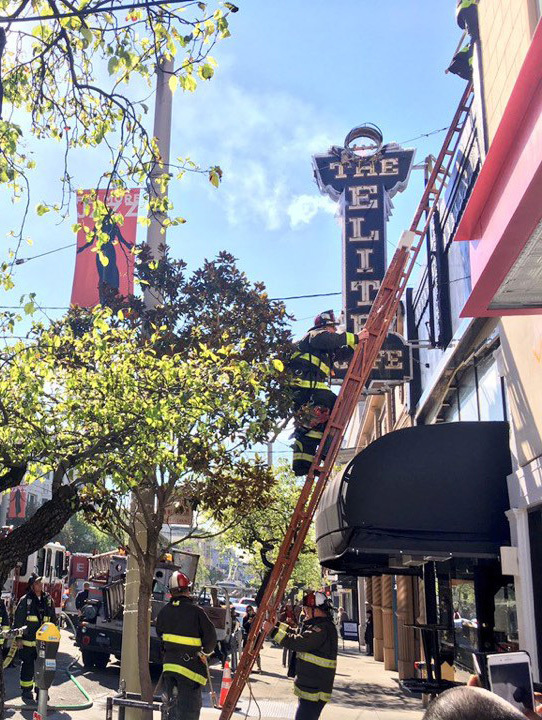 There had been an electrical short and the sign caught fire, with flames leaping out of the top and into the morning sky. Chun says the extent of the damage and how long repairs will take are both unknown at this point. 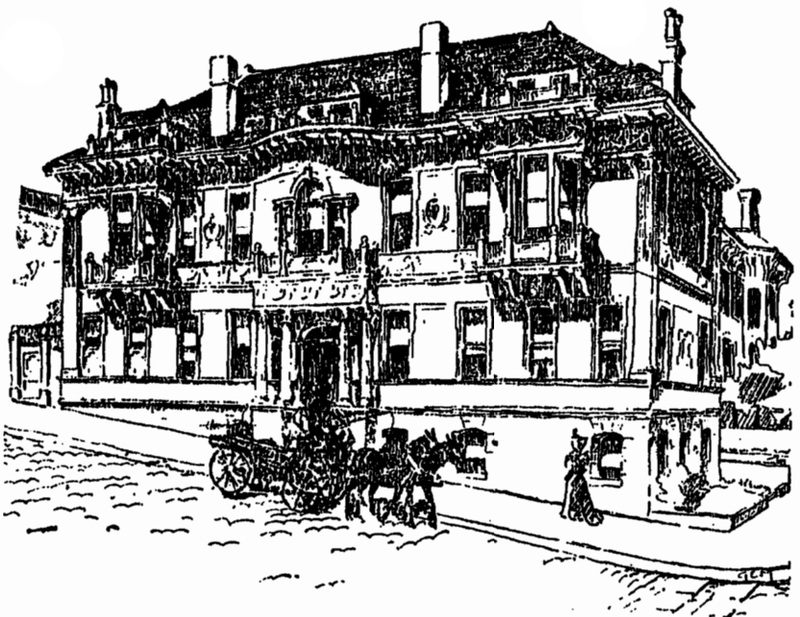 The Health Sciences Library at Sacramento and Webster was built in 1912. THE CLASSIC REVIVAL sandstone building at Sacramento and Webster that has housed the medical library for the nearby hospital since 1912 is headed for a new life in its second century. Its collections have been dispersed and the library’s small staff is relocating by the end of March to the nearby Gerbode Research Building at Webster and Clay. 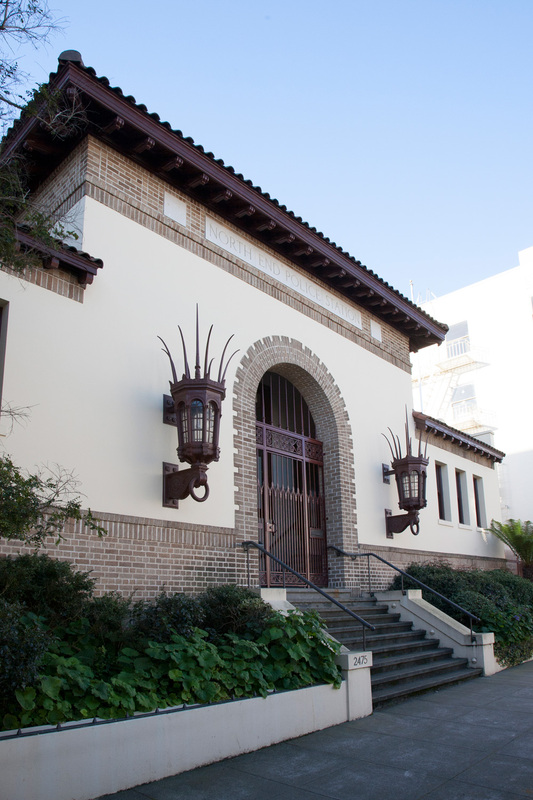 The library lost much of its patronage in 2014 when the University of the Pacific’s dental school left its longtime home across the street. The dental school had shared the library with the hospital. Among those said to be interested in buying the landmark building: Trumark Urban, developer of The Pacific condominium complex at 2121 Webster, which replaced the dental school. “I have no comment on that,” said Arden Hearing, managing director of Trumark. The Patagonia store at 770 North Point was formerly a neighborhood garage. As the automobile increased in popularity and affordability in the 1920s, neighborhood parking garages and repair shops became the norm in San Francisco. Because private homes were commonly constructed without garages, a new type of building evolved to serve residents with parking needs. Neighborhood garages were often one- or two-story concrete structures with industrial interiors. However, given their placement within the city’s established residential enclaves or along commercial corridors, they were often designed to fit into an existing architectural vocabulary. Many of these once indispensable buildings are still found across the city and in our neighborhood. Anne Bloomfield’s research was the foundation of Gables & Fables. 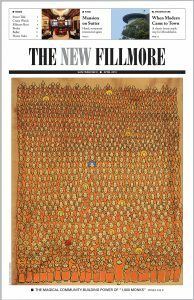 My predecessor in writing about neighborhood architecture for the New Fillmore, the respected architectural historian Anne Bloomfield, was an amazing researcher and a passionate advocate for maintaining the character of Pacific Heights and Presidio Heights. 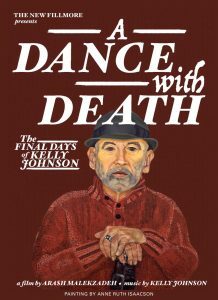 She died in December 1999, but her life’s work of helping preserve San Francisco’s past lives on. Anne collected vital information on individual buildings, architects, and builders that led to the designation of many landmarks and historic districts. 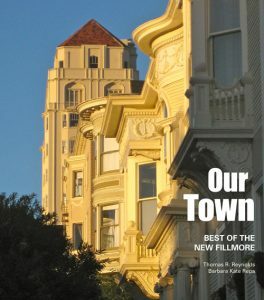 Her ground-breaking detective work on the building collaborative called The Real Estate Associates, who in 1875 claimed to have built more detached houses than any other company in the U.S., revealed a sophisticated San Francisco building practice. 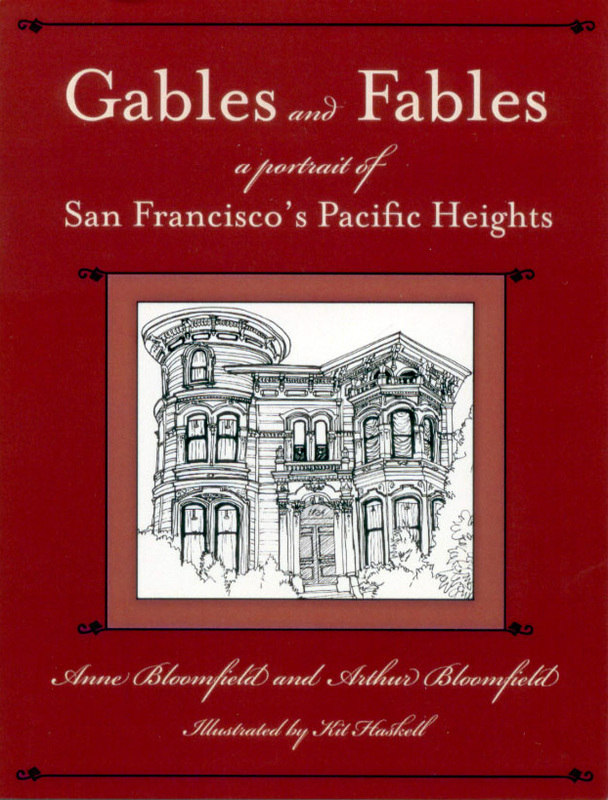 Her research was the foundation for Gables & Fables: A Portrait of San Francisco’s Pacific Heights, the book her husband Arthur Bloomfield published after her death. Recently I had the opportunity to review and organize Anne’s research files on Pacific Heights and Presidio Heights for inclusion into the collection of San Francisco Heritage at its headquarters in the Haas-Lilienthal House. The files will be invaluable to future researchers and aficionados of San Francisco’s early architecture.